Officers arrested 55-year-old Jeffrey LaChance of Paso Robles for allegedly causing an accident that left one woman dead Monday afternoon. 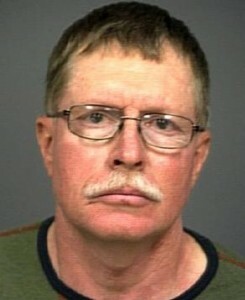 LaChance was driving northbound on Highway 1 south of Hearst Castle when he attempted to pass a tour bus. He clipped the bus and crashed head on into a Toyota Camry. A female passenger in the Camry was killed and the male driver is in a coma. Both are from Pennsylvania. Officers booked LaChance into San Luis Obispo County Jail on charges of vehicular homicide with gross negligence.